Sweet Williams have pretty fringed flowers that grow in a cluster on top of a long stalk. Dianthus Barbatus is a lovely variety of the dianthus species. These growing tips will help you to get it going in your garden. 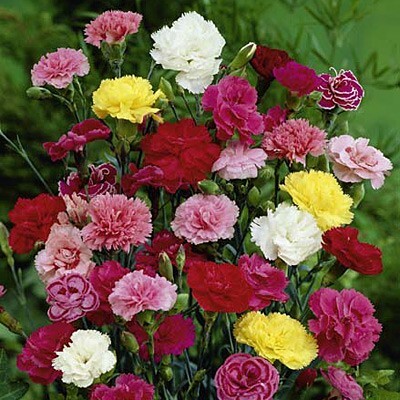 Carnations and pinks have a strong fragrance with a spicy scent. 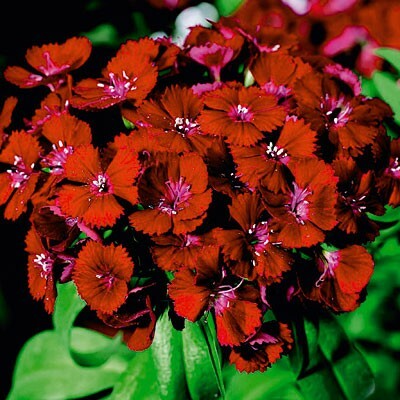 Sweet William, however, bears only a mild fragrance, and some varieties have no scent at all. Dianthus Barbatus – is a tender perennial. It is often treated as a Biennial with leaves the first year and flowers the second before dying off. My Dianthus Barbatus has flowered for two years here in NC. 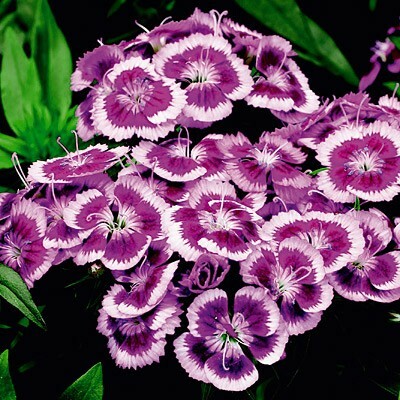 The leaves of this variety of Dianthus are fragrant and the plant attracts butterflies and bees. This lovely variety is one that I got from the farmer’s market. It has a huge 3 inch flower head and is very different in appearance than the lower growing pinks that are more commonly grown. Dianthus is native to the mountains of Europe and there are over 300 species of the plant. 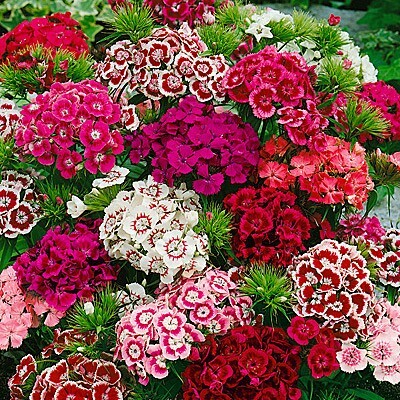 The common names are pinks, Sweet William and carnations. Generally speaking, pinks grow fairly low to the ground, and bloom profusely. They have an aroma like cloves. Most pinks are grown as perennials. 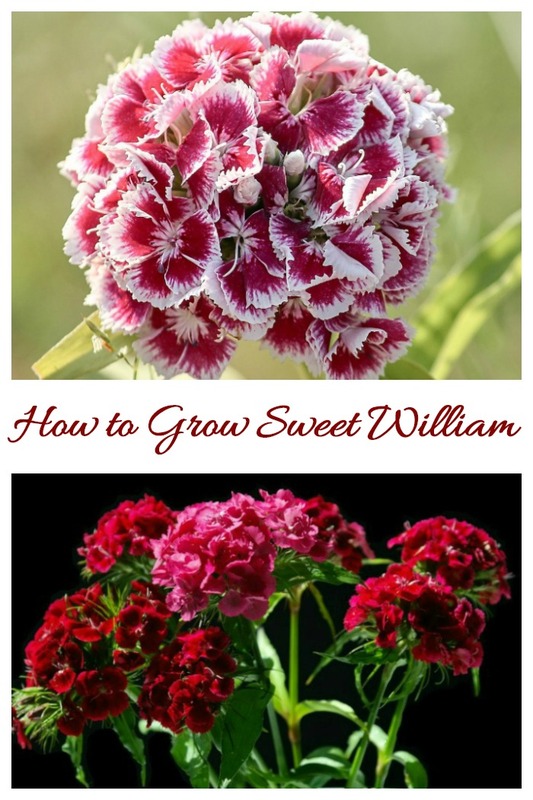 Sweet William is a biennial, which is sown one year and blooms the next. Sweet William often self-seeds, though the small baby plants do not always stay true to the parent. The ground cover pinks usually grow to about 1 foot tall, but Sweet William is an upright specimen that will grow to 24 inches or more. Here are some more photos of Dianthus with the smaller head size. They give a wonderful idea of the variety of colors available. Growing conditions are similar to the directions above, except for the size, of course. Photos are courtesy of American Meadows. Dianthus Grenadin. This is the traditional clove scented carnation. It is hardy and blooms all summer. Great plant for cut flowers. Dianthus Purple Picotee. Sweet fragrance all summer long. Nice in containers. Dianthus Starburst. Short foliage. Perfect for a border or container. Dianthus Indian Carpet. This mix creates a colorful carpet of unique white, pink, and red that bloom from spring into summer. Lovely fragrance and perfect for the front of a garden bed. Dianthus Red – The height is only 8 inches tall so it’s perfect for containers. The plant blooms all summer long. The deep red color is a great contrast to the dark green foliage. Hi Henry. There is a link above the third photo to my Affiliate American Meadows. 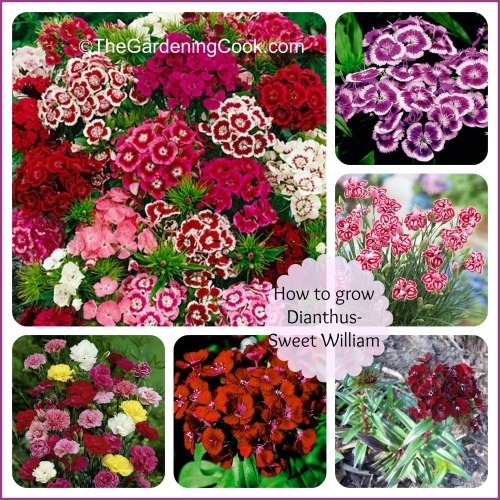 If you click the link and then search for Dianthus, it will show what they have in stock now. I’ve also seen them at my local farmer’s market and also at Lowe’s and Home Depot in the spring. I bought a SW in spring of 2016 and planted it – neglected it, but for watering, and repotted the whole thing in spring 2017. However, it put out these “buds” that only had a little thred-like stamine but no flower. The thing hasn’t put out a real blossom that I would call “sweet” flowers. Is this normal? It seems two different plants are featured here. 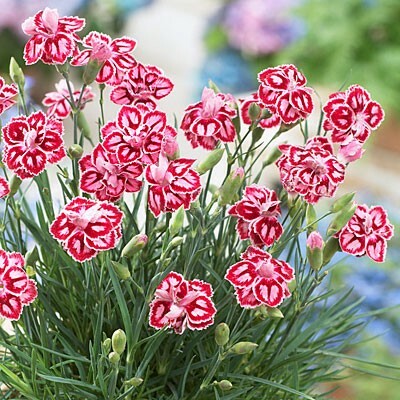 One is in the carnation family which is the dianthus, having single flowers per stalk, smells like clove and thin foliage. 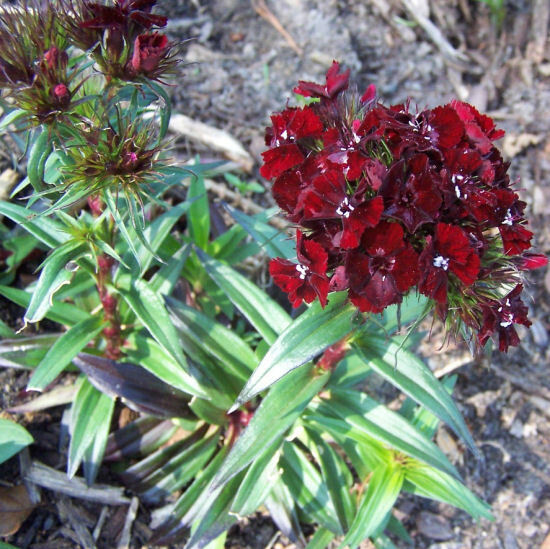 Then pictured is the Sweet William plant which has different foliage, numerous flowers per cluster and sweet fragrance. I have these in a huge half barrel in my garden, first year I’ve bought them, but they’re in the barrel with just lamb’s ear. So will it come back? I honestly can not remember any of the info from when I purchased. I’m in NC.